The “Love Edition” Bouquet. Elegant, romantic and timeless. 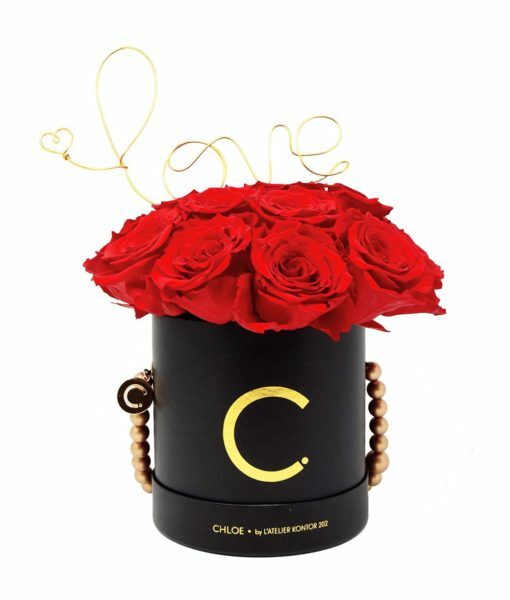 A true modern update to the classic bouquet of roses with a “love” sign. The perfect gift for an anniversary, Christmas, Valentine’s Day, a proposal or to say “I love you”. This precious gift blooms for years and fills your home with everlasting beauty. Rose count: 16-18 Infinity Roses that last up to THREE years! Like a classic bouquet of roses, these splendid and colourful infinity rose bouquets almost seem to explode from their Flowerbox ready to fill your home with blooming life. Elegant, romantic and timeless. 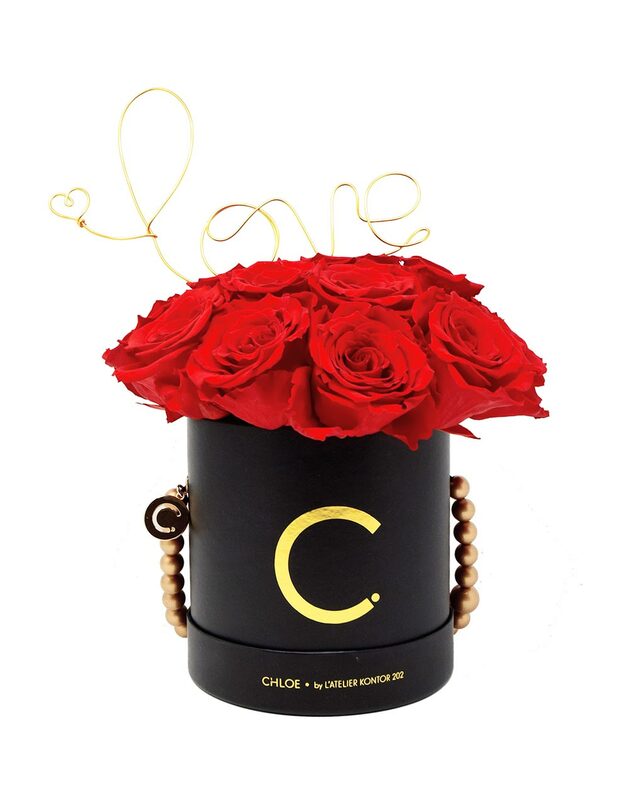 A true modern update to the classic bouquet of roses with a “love” sign. The perfect gift for an anniversary, Christmas, Valentine’s Day, a proposal or to say “I love you”. This precious gift blooms for years and fills your home with everlasting beauty. Fresh Roses for an Eternity! 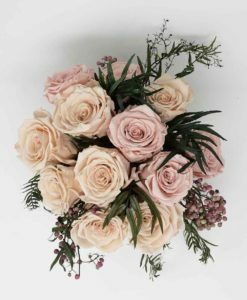 The roses of our Infinity Collection are genuine, freshly picked roses that are carefully preserved in Ecuador. Through a special procedure these roses are prepared to give you several years of pleasure. The roses will bloom for you for up to 3 years. As such, they spread love and warmth in your own four walls, in your office or as a gift for your beloved one for a long time. Living a lush life on mere air and love! Never water again! 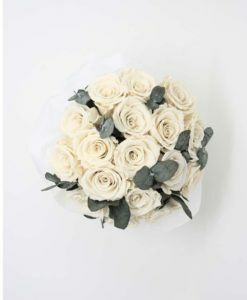 Our Infinity Roses require no water or any other care products. They simply bloom without any help. Also, please not be touch them too roughly to prevent them from losing shape and colour. Additionally, our Infinity Roses love shaded areas and not be exposed to excessive heat, direct sunlight or humidity.